Choose the Best County (area) to Buy Land. Jill DeWit: Welcome to the Cash Flow from Land Show. 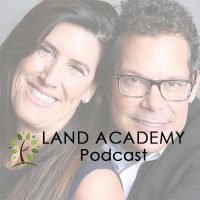 In this episode Steven and I talk about how to choose the best area or county to buy property. It’s a super hot topic with our new members. We figured we would tackle it in our pod cast. Welcome Steve. Jill DeWit: I love getting to be the host, I got to tell you. Jack Butala: I love it too. Jill DeWit: Getting a little big head over here. Jack Butala: That’s half the work for me and twice the fun. Jill DeWit: It’s nice, I get to be in charge and really run the show. Thank you for addressing this hot, hot topic with us. I know you’ve been doing it for a long time and you have some great information to share with us, so please. Jack Butala: Here’s what happens, a substantial number of newer member in Land Academy and people in general no matter where we are, they ask me some version of this. “Where do I start geographically, can you please give me the name of the county, tell me exactly what to do, and I’m going to make a bunch of money just like you.” By answering that question directly by saying, “Oh, it’s X, Y, Z county and concentrate in this area,” which I would never say, all I’m doing is hurting that person. If you learn how to very aesthetically choose different areas you’re going to have a life-long career of choosing the right areas on your own. Our whole point here in to doing Land Academy is to teach our members how to do this so that they don’t need us anymore. After a certain amount of time you should be able to go of and do this on your own forever. I can tell you the basic attributes, and we cover this a great deal in our Cash Flow from Land package, our program. We’re selling tons of those things now Jill, it’s working out great. This topic is worthy of it’s own podcast. I’ll tell you some of the attributes that great counties are that I use. Before I do that I want to tell you a real short story about a new member, about a two month old member, took this to heart, went through all the steps in the program to find an area to work, he sent a mailer out, and then he reported back through Success Plan which is our ongoing … It’s our member forum where we all communicate together and he sent a mailer out in a county that I’ve never been involved in before ever, in a state that I’m heavily involved in, but for whatever reason didn’t do it. He killed it, he knocked it out of the park. That’s the reason I don’t say go to X, Y, Z county. Why would I do that? He went through the right steps, found his own, and he’ll do it again right after this. In fact, what he said was, and we had him on a podcast, “I’m sticking with this county for awhile. Yeah, I sent out properties for a small acreage amount but now I’m going to do large acreage properties [inaudible 00:02:56],” because he go to know everybody. He got to know everybody who worked at the county, he go to know the people and photographer in the area, and the whole thing. That’s the long way, I guess, of saying, “I’ll show you how to teach a man to fish kind of thing. Basically here’s some attributes of a county that will work and then after that I’ll describe a county that I don’t think would work at all. Low-density population, and I show you exactly how to find those maps and where to look for that stuff through census information on the internet. They have a lot of different ways we talk about it. I talk about it a great detail in the package, in the program excuse me. Jill DeWit: This is the top of your listing to look for? These are the good things? Jack Butala: Yes, these are good things, the attributes. Attributes of a county that’s probably going to work really well. Jack Butala: Low-density population, comparison sales value on the internet for that area. Jack Butala: Go out on Land Watch Landed Farm or lots of different places where they sell these types of assets and check around, look around to see who’s selling properties you are thinking about sending out letters to direct Knowles Campaign. That’s a huge one. You want to be in the middle. If there’s 55,000 properties listed in one county and they’re all listed for 12 dollars, you don’t want to probably get involved in that. I’m grossly exaggerating. If there’s too many properties listed in one area, you don’t want to get involved. If there’s too few, chances are you don’t want to get involved. You want to get in a nice average scenario where there’s a few properties left out there, they’re listed, they look nice. That’s a big issue, check your comparison values before you choose that market. Jack Butala: You want to choose a market, this is key that’s over looked a lot, that seems to be type of a recreational/vacation destination. Everybody in the NorthEast and The Mid-West wants to vacation in Florida and guess which properties sell great on the Est coast? Florida properties. Jack Butala: If it’s any type of vacation destination, chances are it’s going to sell pretty well. Northern Michigan for us sells really well. Northern New York sells well. I did a transaction in Maine one time that did really well, although that’s not a … You can’t bank on that all this time. I’ve done several transactions in Canada that with they’re all ocean view properties that have done well. You can buy really cheap property in Canada right now. What’s that? Number three? Jill DeWit: Mm-hmm (affirmative) Census, basically compared comps or stats, whatever you want to call it. Jack Butala: Vacation type destinations do well. Jack Butala: They had a type of … I’m sorry, go ahead. Jill DeWit: Do you want to talk about the Canada thing or not? Do you want it to … Is that another podcast? Jack Butala: That’ll probably be on scope of this conversation. Canada is tricky to buy, it’s not tricky it’s different than us. Their fees and assessments and taxes of that get taxed right at … We’re not used to that. They got taxed right at the deal. You have to make sure you’re buying it right. Canada’s good for an experienced investor, Canada’s a great place to do this. Jill DeWit: My perception is it’s easier for them to buy property here than it definitely is for us to buy property there because there’s a whole lot of Canadian buying properties here in the US. Jack Butala: I don’t know if it’s easier or harder. It’s actually the same level of difficulty or ease. It’s just different. When you go through Escrow Canada there’s taxes and stuff. They tax you right in the deal. Jill DeWit: Oh, we don’t have that. Jack Butala: We pay taxes in the tax return. Jack Butala: There’s some stick or shock that can go in with that. Jack Butala: Another thing that’s really really important when you’re choosing a county. We tend to choose areas by county because that’s how you get the data. Data is sold county by county or that’s how it gets taxed. That’s a taxing entity. A great way to research, and I cover this in the program in detail, is the number of properties that have accumulated back taxes on them, generally the higher the better and where do you find that? You find it on the internet, or you review our package. We show you exactly how to find it there too. That’s four key point. Jill DeWit: Mm-hmm (affirmative) That’s awesome. I appreciate all of that. Jack Butala: This is a big topic. New member, that are ready to outlay some money to do a mailer and see what kind of response and they’re very apprehensive. The reason Jill and I chose this topic is because we want to relieve those jitters or that first new member apprehension about, “Oh my gosh I’m going to send all these letter [inaudible 00:07:49] out and everybody else is successful. What if I do it all wrong and I’m going to fail?” There’s almost no chance of that if you really follow the directions that we have set up. Before you pull the trigger, go in Success Plan as a member. Go in SuccessPlan.com, it’s the site that Jill and I set up so that you can ask all these questions. People that are successful with it, three, or five, or eight months ago they’re in the exact spot you are if you’re going to be a new member. They’ll answer all your questions and it’s a really incredible and nice group of people. Jill DeWit: We don’t say that enough. This is perfect thing to do this. I’m going to bring that up on our next weekly ambition call, not this one coming but next because we don’t have one with the holiday. We have a phenomenal group of members in our Cash Flow from Land Academy world and I am so thrilled. They’re smart, they get it, they follow directions, you know what I mean? They appreciate our directions. It’s a two way street. Anyway, we have a great group of people and one of the best things about them is they all help each other and that’s the best thing. No question’s a dumb question. Everybody’s really happy to help them because they were there once, which I have to add to that. Jack Butala: If you have any questions about it if you’re thinking about doing this or not thinking about it, or you think it’s a bunch of malarkey go out on that site and ask them. Jill DeWit: Don’t take our word for it, ask them. Ask our people that are out there living it, doing it, and they’ll tell you. It’s good. We were going to talk about the flip side? Is there a flip side? Jack Butala: Right, right, thanks for keeping me on track. Jill DeWit: That’s why I’m the host today. Jack Butala: This is exactly what you don’t want to do and how you’re going to fail. If you send out a bunch of letters to a highly populated are like let’s say, Maricopa County in Phoenix, or Phoenix in Maricopa County, or let’s say Manhattan New York, or let’s say a densely populated area where property values are very high and send a mailing campaign for 500 dollars a property, you’re going to get a lot of hate mail, a lot of angry callers calls back and probably rightfully so. All it does it is it says, “I didn’t do my homework. I should never have done this it’s silly. Low balling offers like that all it does it rattle everybody’s cage. It’s silly. Here’s another way you’re going to fail, send out some postcards. Send a postcard out that says, “Hey, I would love to talk when you have time. We can have coffee together on the phone. We can have a virtual cup of coffee together on the phone and talk together about a bunch of garbage. Maybe you want to sell it, maybe you don’t.” People hate that and you’re going to get a lot of hate mail. I hate that. Jack Butala: Here’s another way to fail. Jack Butala: Jill, that’s what I mean. A lot of people that are really bored that want to talk about the property that they own that they think is worth a million dollars. Jill DeWit: They have no interest in selling they’re just bored. Jack Butala: That’s right. If you’re bored, do that. Jill DeWit: If you have a lot of time, you’re not really interesting in making a lot of money, do that. Jack Butala: Here’s another way that you won’t necessarily fail, but it’s going to delay your success. Send a colored letter out that looks like, but it’s not real. It looks like and it’s printed like you hand wrote it. Okay, one of the biggest misconceptions of our business is that people who, in real estate, the sellers that we find, well they’re stupid. They don’t get it. It’s silly, I cover this in the package in great detail. Give the sellers the respect that they deserve. They’re selling their property. They know that they’re selling their property to you and it’s grossly undervalued. They want to get rid of it, they want to check it off their list, they know it’s cheap. They know it’s way cheaper. They know they can go spend a year marketing it themselves, or they can call a real estate agent and do that for awhile, they know that. They want to get rid of it, man. It’s like an old car in the garage. Jack Butala: Don’t insult them by sending a colored letter. I’m sorry Jill, I get heated about this topic. Jack Butala: Silly mailers. Go ahead. Jack Butala: Jill and own thousands and thousands of properties at any given time. We get a lot of this type of mail in our mailbox and they’re all examples of the wrong way to do it. Jill DeWit: This one had a federal warning across the top and the federal warning was … It caught my attention like this is mean. This is scaring some people. All it was was the federal warning it’s the general federal warning about stealing mail kind of thing form somebody. It had nothing to do with what this is about. They put something on there to get you to hold onto that letter and open it. That is so not nice. Jack Butala: Yeah, to flip this around those are real negative things to do. We’ve seen almost all of it, Jill and I. What you want to do is you want to send an offer with a dollar amount in it and you want to give them a closing date. You want to send it to the right people who have demonstrated that they’re interested in selling their properties. Most of the people are not in the city of Manhattan. Most of them are in rural areas, they don’t live on the property, maybe they inherited it, there’s way from data. Jill and I are experts at manipulating data that you receiver from the county or from a data source that we’ve secured through a title company. We’re experts at dissecting that data, deconstructing it, and then sending people the letters that should get letters based on a lot of information. That’s what this podcast is about, how to send it to the right places. The other way you can tell is through Assessed Value especially out of the West Coast. When the properties are assessed in a certain manner it’s a huge, huge, he green light for me and I’ve learned this through experience, that they need a letter. Jill DeWit: Got it. I had one, it was really interesting. The other day where I don’t usually pay attention to Assessed Value for a lot of reasons with the areas that I’m working in and the Assessed Value was cut in half in the last three, four years not kidding. Jack Butala: Oh, because of the downturn?